Raised in the golden age of RPGs, I was aware of BattleTech even before started playing classic boardgame BattleTech and reading the novels in 1992, back in a time when I had plentiful of spare time as a conscript in the army (Luftwaffe actually). Not knowing anything about the game universe or the 'Mech designs, I randomly affiliated with House Liao because green is my favourite color and chose the Archer as my 'Mech for the first training battles because I thought it had the best image (and two Doombud LRM-20 sounded badass - no idea what they were though). I did not know how it was different from a Stinger... funny how I remember that after so many years. As a subscriber to BattleCorps I have meanwhile got canonical BattleTech stories published there under the pen name Stephan A. Frabartolo. I liked the early LosTech flair of the BT universe and started to lose interest in the storyline when the Clans arrived because I do not like their barely credible backstory and braindead pseudo-culture, and the associated tech and rules and general munchkinism. (In this sense, The Wars of Reaving went a long way to mend my feelings, as the Clan culture eventually imploded along exactly those lines where I felt it should. Go Clans!) Accordingly, my BT interests primarily cover the time prior to 3050, and the inner workings of the BT universe at that time. I didn't care for the Civil War era, but liked the Jihad era very much. By now I am fairly up-to-date regarding the universe timeline. Gaming-wise I'm still mostly stuck in the Succession Wars era. The multitude of new weapons, associated rules and new 'Mech designs became a burden instead of a boon for me at some point. The preferrence for the Capellan Confederation stuck - I always liked to play the underdog, at least in games. Roleplaying-wise, I also feel at home in the Oberon Confederation and the general Steiner/Kurita periphery area. As for mercenaries, I have a soft spot for Hansen's Roughriders in particular from the days of the old boxed set; the Waco Rangers were probably my second favourite (and I love how they were burned to usher in a new era on Outreach!). If I were to name a favourite Clan then it would be Clan Ghost Bear, or perhaps Clan Snow Raven - because these two appear to be the least whacky. But I rarely venture beyond the Succession Wars era and thus don't really associate with the Clans at all. Their "honor"-bound mindset and self-defeating attitude offends me. Since I picked up my BT hobby again around 2007 I have begun to complete my collection of BT books. Luckily, I don't collect miniatures or CCG cards as well, though I do possess a fair number of miniatures - my brother used to paint them. Recently I have been acquiring lots of old BT books and game boxes via ebay, and the opportunity to purchase PDF files from the BattleShop was one I could not resist especially considering how strong the Euro was vs. the USD at the time. My collection of out-of-print BattleTech products is fairly amazing now (it is certainly amazing me! ), missing only a few ultra-rare bits and pieces such as the old TCI model kits with the enclosed scenarios. I'm not willing to spend a fortune on these though, so unless I manage a lucky find, someone else will have to compile BTW articles on them. My collector's attitude is especially strong regarding rare "fringe" products. Being a general information spotter who has diligently collected and put together bits and pieces from various sources in the distant past when I GMed a BattleTech campaign made me an obvious victim to wikipedianism. I started adding bits and pieces here and there and I really would not say there is any specific favourite area I am working on. Doing a little research on my own work here, my first contributions ever (then as an unregistered IP) were made on 23 June 2007. 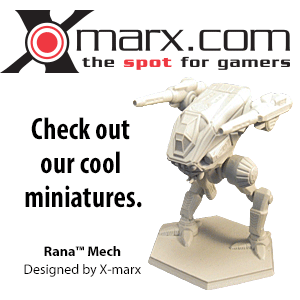 To my own lasting surprise I have been offered Adminship on BattleTechWiki. I normally seek to avoid any form of responsibility in my spare time activities but decided to give it a go nevertheless. I both hope and expect that being an Admin will change essentially nothing for me, and if the added rights and privileges are helpful to me in grooming the integrity of the BT universe then that can only be a good thing. 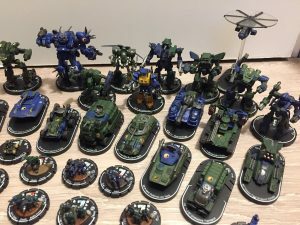 On the official BattleTech forums I quickly found myself in debates about what is canon and what is not, and have since become somewhat of a Canon expert (to wit, while I feel I understand the official rulings on canonicity, all I can do is to apply them - I don't have any powers to decide what is canon and what is not). My thread on Canon (and in particular, the Line Developer's statements and answers) can be found here. But at least I have played my part in hammering out our Policy:Canon, which I rewrote from the ground up following fruitful and inspiring discussions with Revanche and Scaletail, and I also essentially wrote the article on Canon. I must say I am quite proud of both of these articles. The careless mass-use of the "Update needed" tag irks me. Category:Sources needing updates needs to be worked down. Category:Pages with reference errors needs to be worked down. All categories and list articles of "Minor" somethings need to be eliminated, their content merged into proper categories or articles. Nothing is objectively "minor", and I feel it is a useless or even positively misleading parameter. Policy:Notability needs a rewrite, with an eye particularly to "Notable 'Mechs and MechWarriors" (an issue that keeps popping up); also, Sarna needs to make some style and structure decisions regarding the coverage of military units and when to use, or not use, categories. Need to find out what policies these issues affect. Category:Game Aids and Category:CBT Tactics look poorly defined and need a serious cleanup. Besides boardgame 'Mech combat we did a lot of scifi roleplaying in the BT universe back in the time and eventually played our own merc unit (with periphery bandit background), where I was largely the GM and not a playing member. The storyline of our RPG campaign kicked in around the year 2995. Our freelance merc unit made first contact with the Oberon pirates and agreed to work for them in the countless feuds that plagued the pirate-infested periphery. Ultimately, they became so powerful within the Oberon faction that they became feared and mistrusted; they were soon sent on increasingly hazardous missions and received less and less support until they decided to break away, stealing a number of heavy 'Mechs and a Leopard class DropShip in the process. This earned them the wrath of the Oberon pirate king. After falling out with their erstwhile pirate lords, the unit's combat record shows mercenary contracts with Houses Steiner, Kurita and Marik who usually sent the unit on diversionary raids and (rarely) on objective raids or pirate hunting missions. They performed adequately (for mercs, i.e. poorly) in the defense of Suk II against a Kurita raid, where their heavy but slow 'Mechs were outmaneuvered by lighter Kurita units and they lost the Stalker which had been their payment for the job. Their rating in the Mercenary Review Board dropped considerably after the unit "accidentially" lost their House liaison officers on two occasions: In one case an error during combat drops from orbit (blamed on a computer malfunction) dropped their liaison officer in his Phoenix Hawk far behind enemy lines, never to be heard of again; in another case a liaison officer was KIA on the battlefield under highly dubious circumstances involving the mysterious disappearance of a vast amount of combat salvage. The unit was also accused of war crimes while operating as counter-insurgency forces in the Free Worlds League, but an inquiry failed to provide conclusive proof. In summary, they were mercenaries of the worst sort: Effective in steamroller tactics but immune to finer details of planning, unable (or unwilling) to achieve any mission objective besides search & destroy and wickedly addicted to Inferno SRMs (which they cunningly used to great tactical effect). They always inflicted and often suffered tremendous material losses over the course of their adventures, including the capture and subsequent loss of several different DropShips. When on the loose and operating on their own, unchecked by laws or liaison officers, the dishonourable and quite ruthless unit showed remarkable combat prowess as well as tactical and strategical skill and achieved great feats. Their name alone may eventually have been a deterrent to would-be attackers, and their determination (or stubbornness) paid off more often than it cost them. They were under contract to the Draconis Combine until the end of August 3000 as a mobile periphery defense reserve, stationed on Alleghe and tasked with the defense of St. John, The Edge and Lovinac against Lyran and periphery raiders. No further contracts are known; it is believed that the unit retreated to their secret home planet for good, and/or joined the Oberon Confederation after reconciliation. In fact the campaign was suspended during this contract, and may yet be taken up. They were fairly successful on the battlefield because I (playing the enemy forces as GM) apparently never excelled at tactics, but they made up for that with spectacular lousy dice rolls like crashlanding two Unions in a row in what should have been a cakewalk to collect battlefield salvage. Around 1996 I played as Liao MechWarrior Frabartolo in a text-based online BT community (the BattleTech3056 MUSE as far as I remember). I eventually dropped out because my university uplink was too slow for the realtime combat simluator, leaving my 'Mech a sitting duck in the training exercises, and thus preventing me from ever partaking in any serious battles. My notable exploits during the time on the MUSE included losing 3 Griffins in a row in ill-fated attempts to prove the design's superiority on the battlefield, later faring surprisingly well piloting a Crusader (a design I don't like) and eventually getting assigned a Cataphract, but never the Archer I always asked for. Despite merely mediocre combat performance (or perhaps because this was still better than than the average Liao MechWarrior) I was promoted to Subcommander, drafted into Warrior House Imarra against my wishes and given command of a Lance that had never seen combat action by the time I had to quit the game. This page was last edited on 11 March 2019, at 04:29.